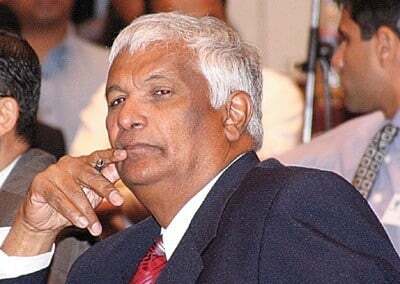 (Trinidad Express) Foreign Affairs Minister Winston Dookeran has said the Trinidad and Tobago Government was “deeply concerned” over the recent re-igniting of the issue of the deportation of Dominican Republic citizens of Haitian descent. He said the Government had taken a strong stance on this matter on the past. “We have taken a strong position on the human rights aspect of that decision. We recognise that dialogue between the Dominican Republic and Haiti had taken place and that there was a process in place for what they referred to as the regularisation of those citizens. He said: “It now it appears that the situation has not gone according to the plan. So what we are doing is assessing the current situation. “I have been in contact with our ambassador to the Dominican Republic, who is stationed in Jamaica and I have been also in touch with our officials. We are analysing this with a view to once more, take a diplomatic initiative on a bilateral level. He he had not yet seen the agenda. Dookeran said beyond these initiatives, the Government would also want to explore whether good faith was being adhered to in the agreement that had been arrived at between the Dominican Republic and Haiti. “We would decide what we should propose to our Caricom colleagues, if we believe that good faith is being violated on this issue,” he said. Dookeran said he was somewhat happy to see that the Dominican Republic has deferred the implementation of the imitative. Meanwhile, Jouvay Ayiti, a Trinidad-based group dedicated to addressing the question of Haiti, has written Caricom chairman, Bahamas Prime Minister Perry G Christie. Jouvay Ayiti expressed its “deep disappointment and outrage over the silence from Caricom on the urgent matter involving the imminent deportation of Dominican nationals of Haitian descent by the government of the Dominican Republic”. “As chairman, you would no doubt be aware of the state of crisis gripping hundreds of thousands of Dominican nationals who are now in the critical 48-hour period following Wednesday night’s expiration of the DR Government’s deadline for regularisation. As you would also know, the regularisation process has been stacked against these nationals denying them of the chance to regularise their status and now leaving them vulnerable to immediate deportation from the DR, the land of their birth,” the group stated. Stating that this was a cause dear to its heart, Jouvay Ayiti reminded Perry that in November 2013, it had taken strong objection to the ruling by the Dominican Republic’s courts to revoke the citizenship of Dominicans of Haitian descent born/living in the DR since 1929. 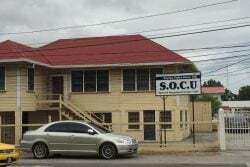 In response to this, Jouvay Ayiti petitioned the DR Consulate in Trinidad and then chairman of Caricom and Prime Minister of Trinidad and Tobago, Kamla Persad Bissessar. It said: The ‘mas action’ was complemented by a lecture on the issue from Prime Minister of St Vincent and the Grenadines, Hon Dr. Ralph Gonsalves. Within days Caricom issued a response. “Today, as you know, the DR has revamped its efforts, and is proposing to deport hundreds of thousands of Dominicans by today, June 17th 2015. Jouvay Ayiti has thus re-issued an urgent call to Caribbean people, and all those globally who share this concern, to sign our petition in condemnation of the Dominican Republic’s Constitutional Court ruling, and its consequent action that would render some 300,000 Dominicans of Haitian descent, stateless! E-mail, and post the petition to the online pages (Facebook, Twitter etc) of their local Dominican Republic and Haitian Embassy/Consulate, as well as to pages of all those who stand in solidarity with the cause of Haiti”. Jouvay Ayiti called on Caricom and Caribbean governments to take decisive action against “this act of apartheid” being facilitated in the region. Chairman of the Emancipation Support Committee (ESC), Khafra Kambon, said Caricom should boycott Dominican Republic products. Kambon said it would exacerbate a bad situation. Co ordinator of “Is There Not A Cause (ITNAC)”, Avonelle Hector-Joseph, said: “We need a stronger Caricom response. They have made up their minds they will do what they have to do. We need a stronger stance against the injustice meted to Haitians and people of Haitian descent. There should be an increased awareness. People need to know a vile and despicable practice is taking place within the Caribbean region. St Vincent and the Grenadines PM Dr Ralph Gonzalves has been vociferous in calling for a resolution to the situation.